This is a note about a paper presented in International Geosciences Conference and Exposition in Bali almost 3 years ago. This paper highlights the origin of crustal structures of Eastern Sundaland. 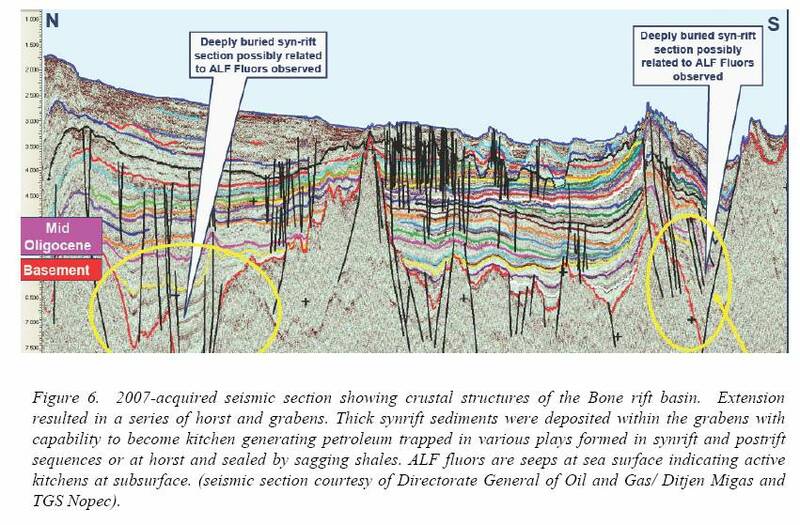 Based on evaluation of available seismic, gravity, and magnetic data, the author proposed tectonic interpretation of the areas and the implications for petroleum accumulation. Tagged awang satyana, basement, crustal structure, geophysics, gravity, Indonesia, magnetic, petroleum, petroleum geology, rift, seismic interpretation, sundaland, tectonics, tectonics of indonesia.